Sorry my handwriting isn’t exactly the best – I’m sure many of you can do a far nicer job of it than me! 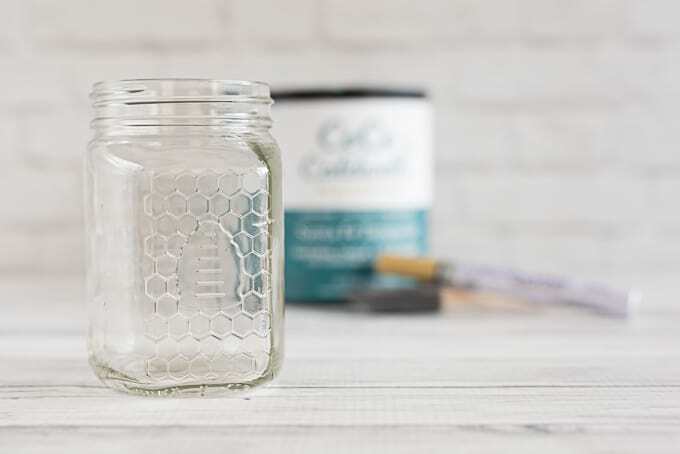 Wide mouth salsa or sauce jars would work really well for this project and, of course, you could always use a purchased jar if you need to. Whatever jar you use, make sure the label and all sticky residue are completely removed and that the jar is nice and clean! Finger oils, or leftovers from products like GooGone, can prevent the paint from adhering well. Have you washed your jar with soap and warm water, then allowed it to dry fully? If not, go ahead and do that before you get started. 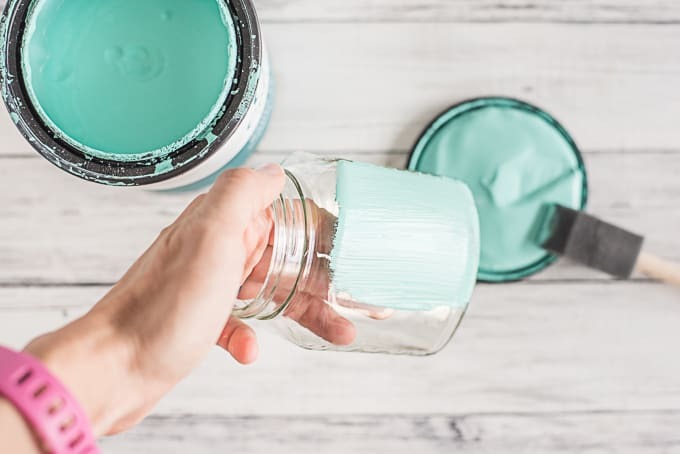 Apply a thin, and even as possible, coat of paint to your jar. 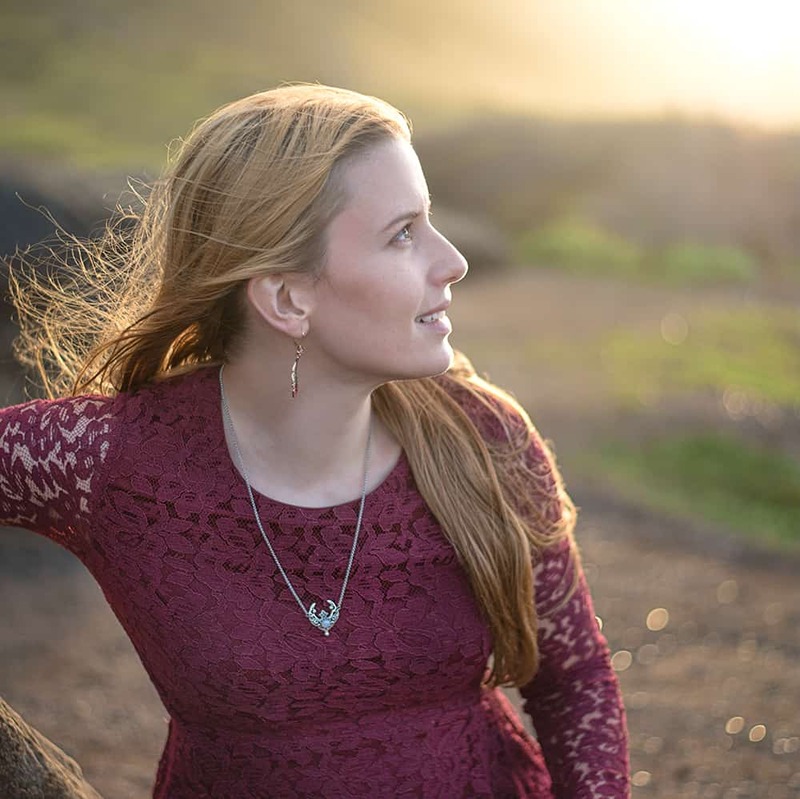 I’ve found that it’s easier, and ultimately better looking, to apply several light layers. 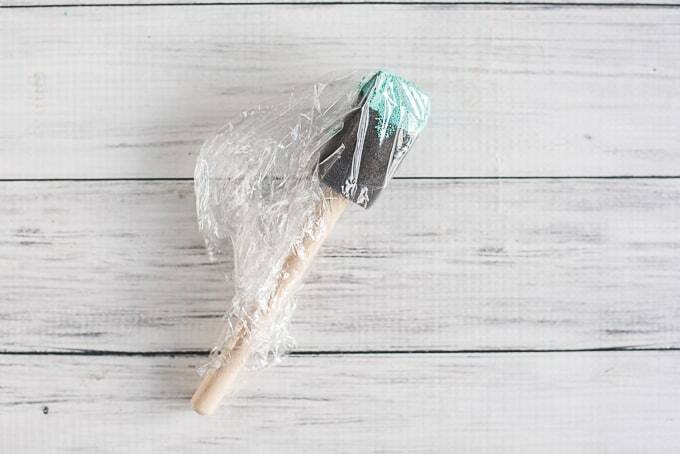 Bonus Tip #1: To avoid washing your brush a zillion times, wrap it in plastic wrap between coats of paint! 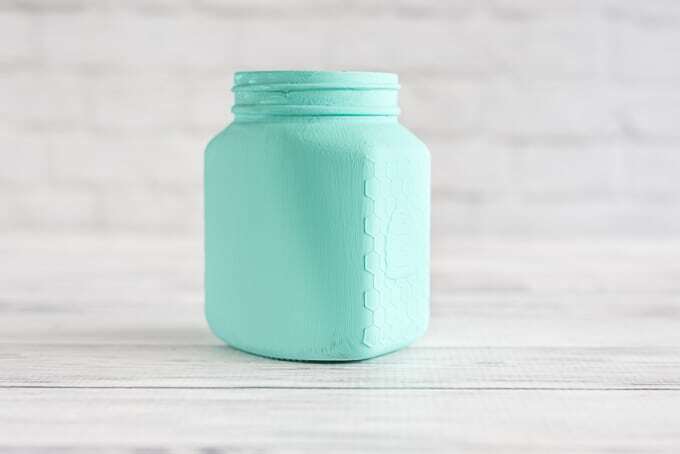 Bonus Tip #2: Set your jar on something like a plastic lid while it’s drying to avoid getting paint on your desk or table. Once your first coat of paint is fully dry, add another. 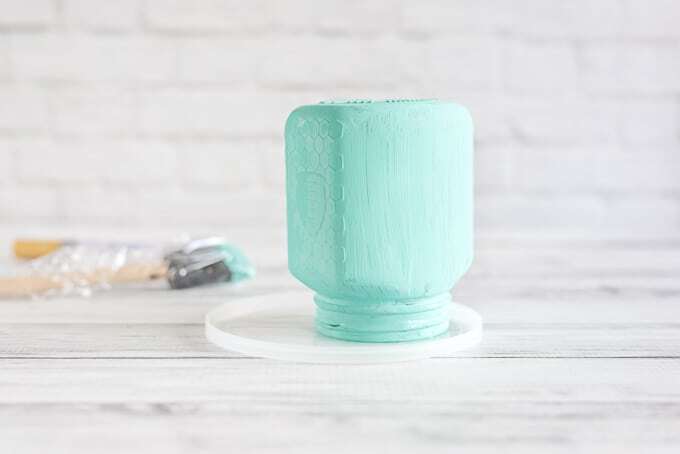 I’ve noticed that chalk paint tends to come up if you try to add paint on top of paint that’s still wet, so make sure it’s totally dry! Bonus Tip #3: You can use a hairdryer on cool/low to help dry your paint more quickly. And more coats of paint, if needed. 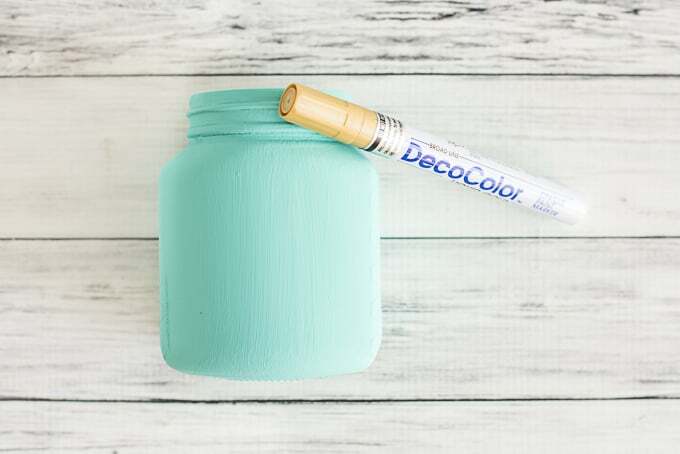 Keep adding light coats of paint until you’re happy with how you jar looks! I used three coats on the pictured example. 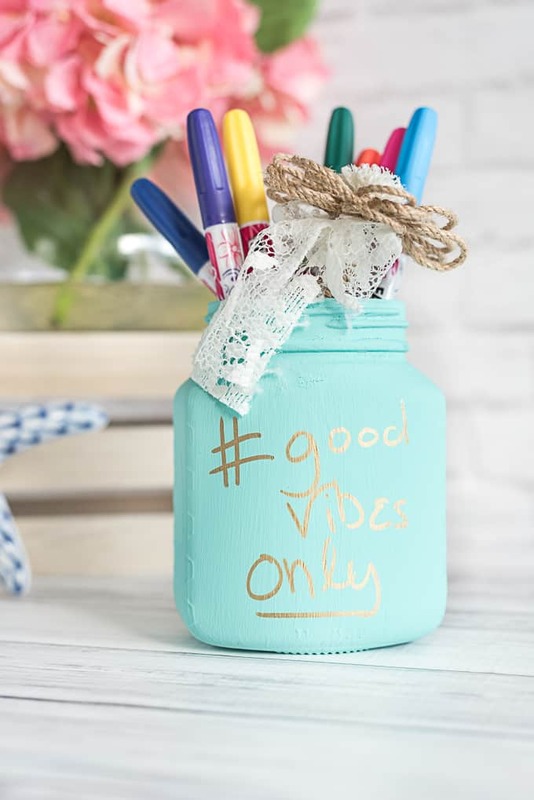 Allow your jar to dry completely, then grab your paint pen/marker and add a motivational message. Again, make sure your paint is totally dry or the marker tip can make it come off. 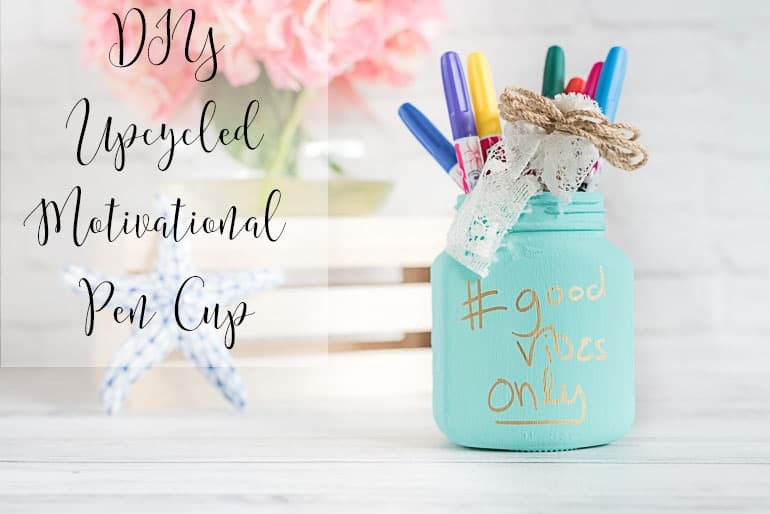 What have you upcycled recently? I’m the same with jam jars! I do have my eyes on a jam jar we have right now. =) It won’t be going in the trash when it’s empty!